SALISBURY — It may be summer, but that doesn’t mean that students are taking a break. During the first week of vacation, 22 Crosby Scholars students chose to spend their time at an optional college prep camp. Crosby Scholars is a non-profit that helps students prepare for life after high school. 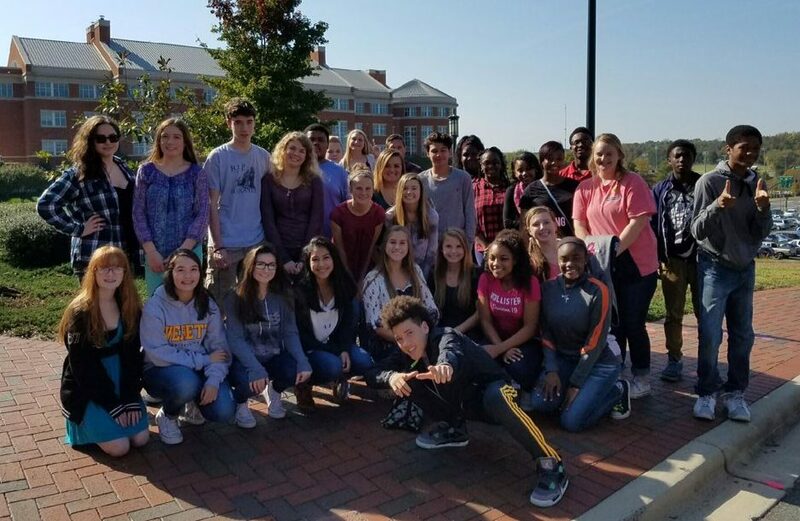 Called “Pathways to College,” the weeklong event pulled Crosby Scholars students from all over the county, and served rising ninth through rising 12th graders. “So that’s a pretty big spread of students,” Flora Calderon-Steck, Crosby Scholars program director said. But looking at the group, you’d never know it. Calderon-Steck said the students had been engaged and excited about the opportunity, and came up with creative solutions to problems and to their futures and college careers. For the past four years, Crosby Scholars has hosted “critical thinking camps” over the summer months. This year, the organization is launching its first pathways camp with a goal to help students plan the route to their futures — from classes to scholarships to applications. “They have kind of a visual of the process and the importance of starting early,” Calderon-Steck said students gained during the week. Jenny Billings, chair of study skills, developmental reading and English and English at Rowan-Cabarrus Community College, said student spent the week taking career assessments and personality tests. They also spent time listening to speakers from Rowan-Cabarrus discuss financial aid, career counseling, advising and college transfer possibilities. “The sole purpose was to give them an early exposure to thinking about RCCC and college pathways, and I think we’ve accomplished that this week,” Billings said. Calderon-Steck said the Pathways to College camp offered students a chance to “step back and do some self awareness exercises.” It’s good for students to think about where they want to go in life, and how they’re going to get there, she said. Because of the camp experience and Crosby Scholars, she said, this group of students will be prepared when they hit junior year and begin applying for colleges. “They’ve done all the ground work, so it decreases the level of stress significantly,” she said. The group already knew what careers they wanted to pursue, which colleges they wanted to go to and the classes and experiences they needed to have in order to get there. It will give them a significant leg-up on their peers, Calderon-Steck said. “If they do that in junior year they’re already way behind,” she said of the prep work. For East Rowan High School junior Dakota Jacobsen, the experience helped him plan for his education — which will be significant, as he plans to attend law school. But the biggest help, he said, has been the financial pointers. “It just gave me more ideas of how to pay for college and what I need to do to succeed in my goal,” he said. West Rowan High School junior Emma Ryerson said the Pathways to College camp helped her come up with ideas that will make her more of a well-rounded college applicant. “And that helps a lot,” she said. Emma wants to attend N.C. State and study veterinary science. But the experience also helped her think of other career options that might suit her. According to a career and personality test, she said, she’d probably enjoy a career in forensic science, as well. “It was very eye opening,” she said. Calderon-Steck said she was proud of the group.